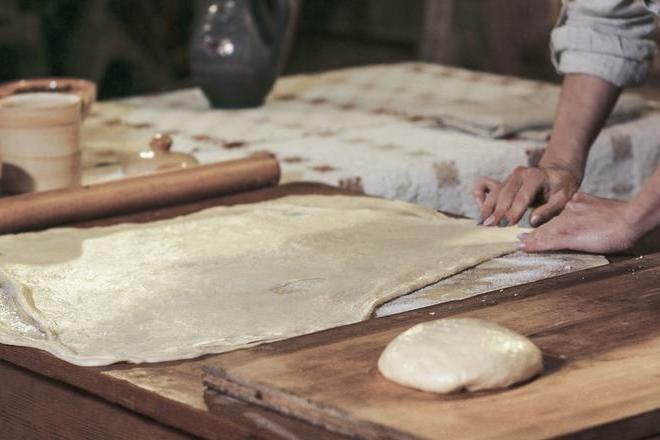 Simtalapis is a traditional Tartar bakery, often prepared for various traditional celebrations. 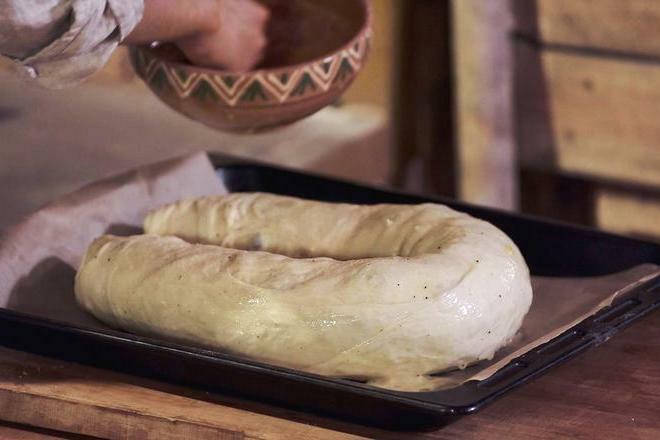 The simtalapis is made from layered yeast dough. 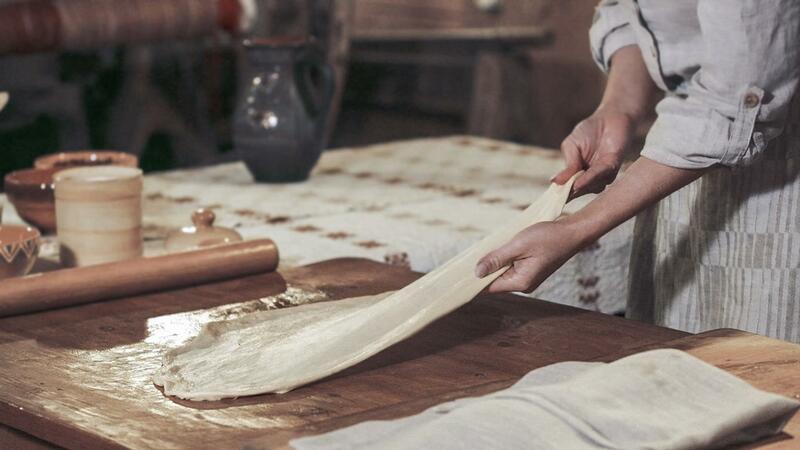 When the latter rises, even two people pulls it by the edges. 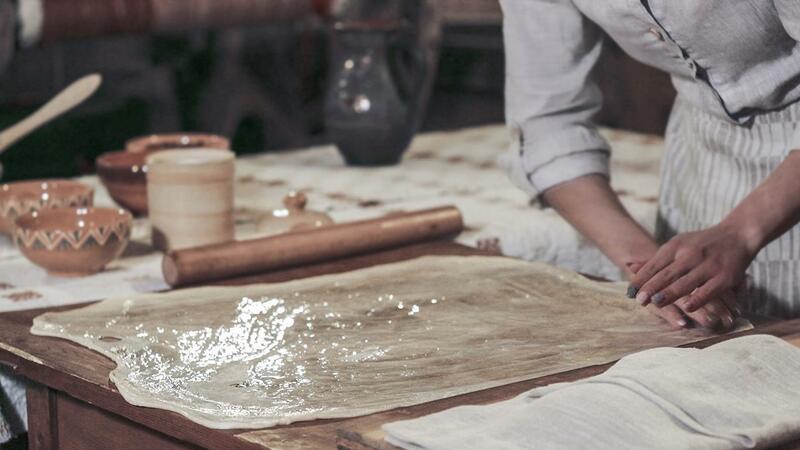 Work is very complex, requiring a lot of skill. 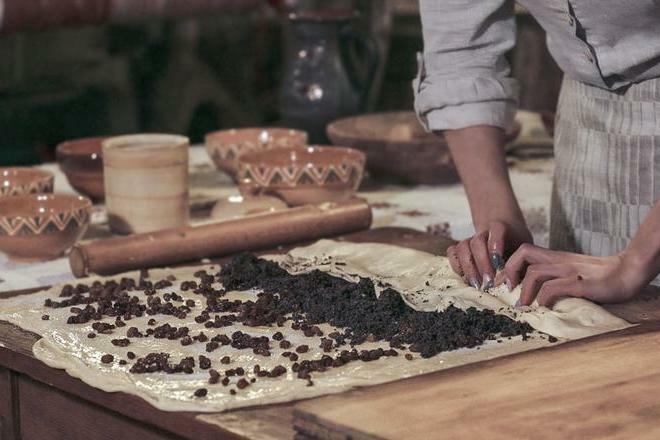 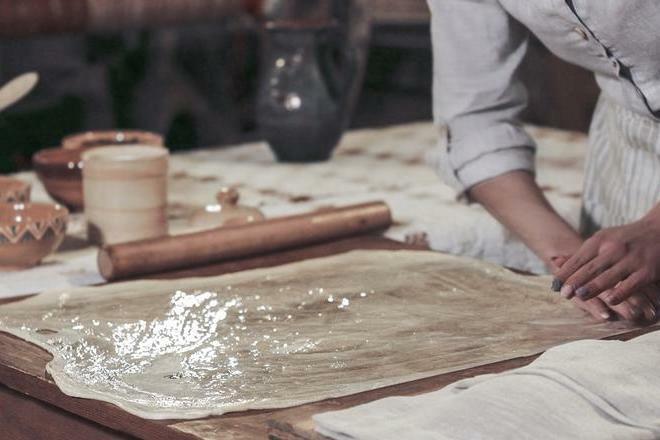 Baking of simtalapis is a continuous process of improvement, because every time it succeeds differently. 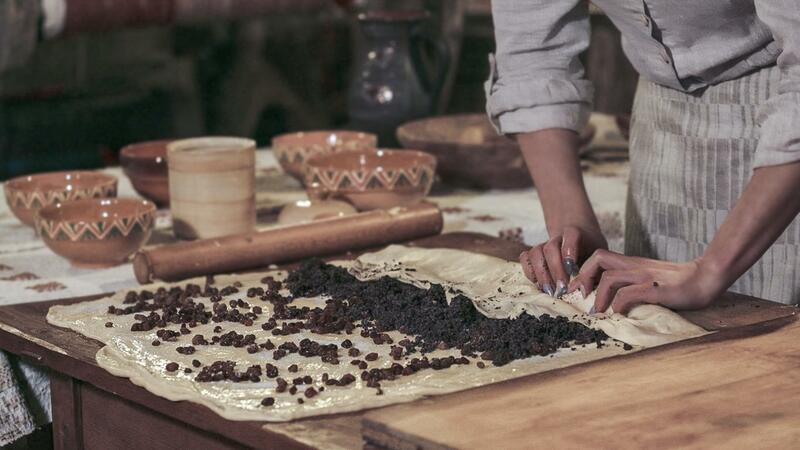 The cake is baked in a furnace, which is fired only with deciduous wood. 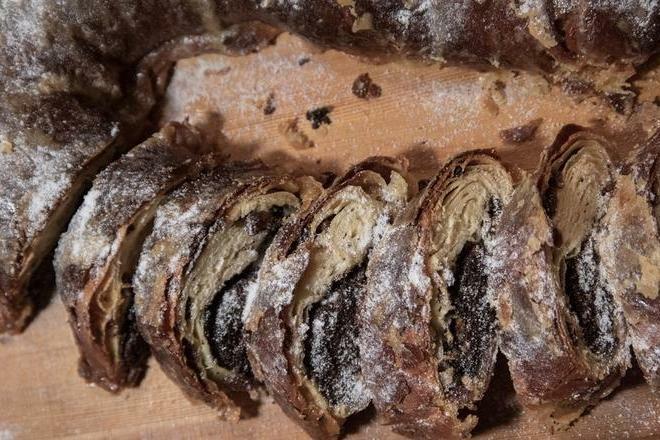 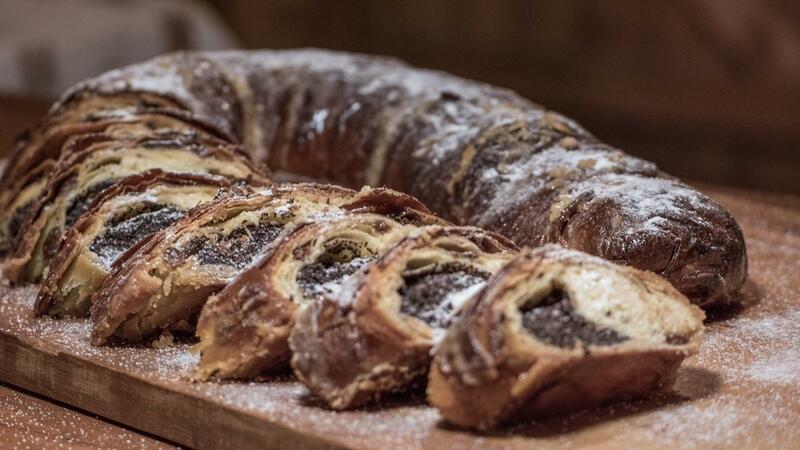 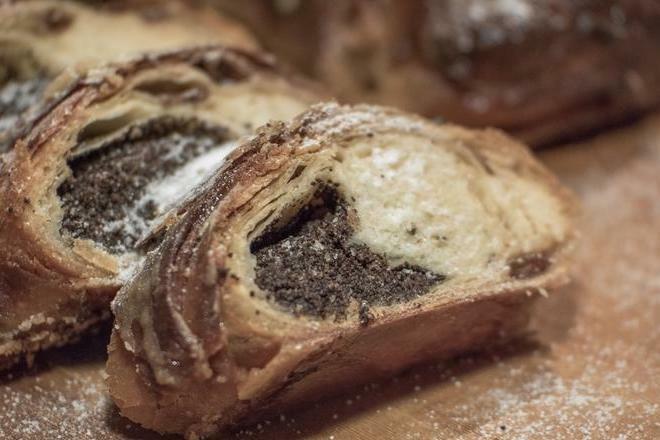 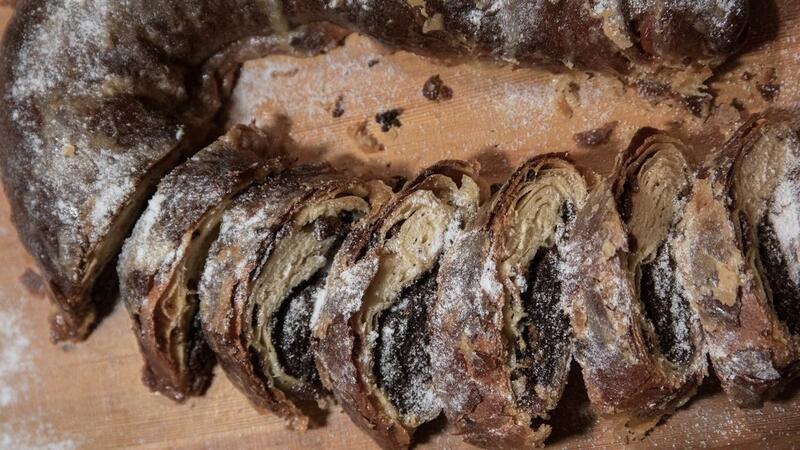 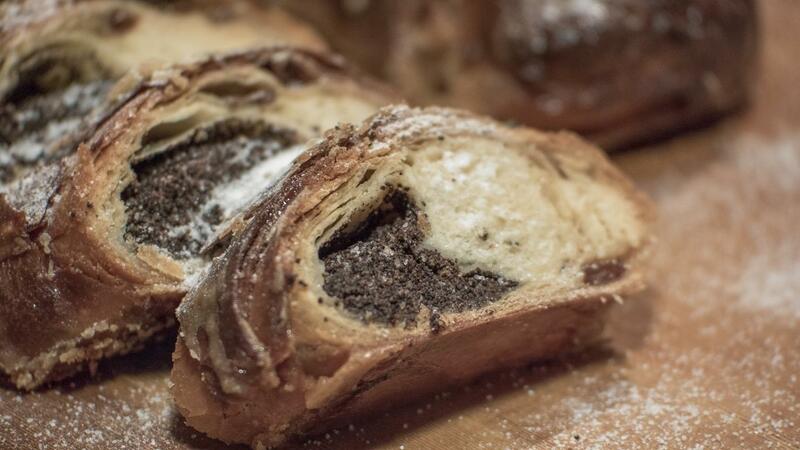 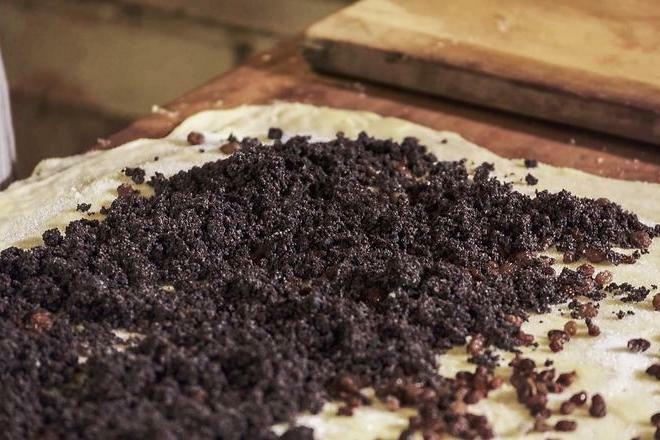 The stuffing of simtalapis is poppy seeds mixed with sugar, and layers greased with melted butter. 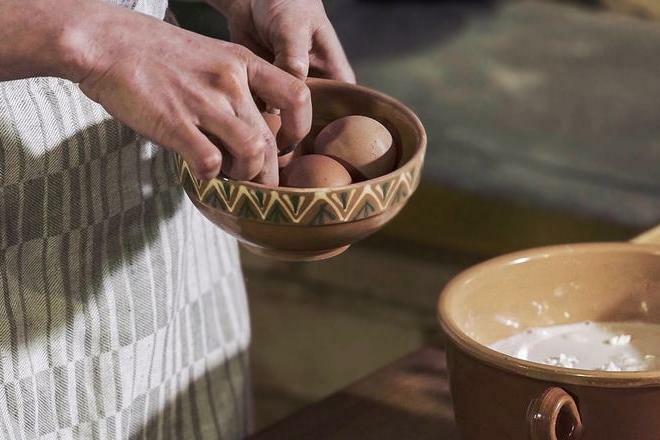 The formed pie is baked in a round baking tin. 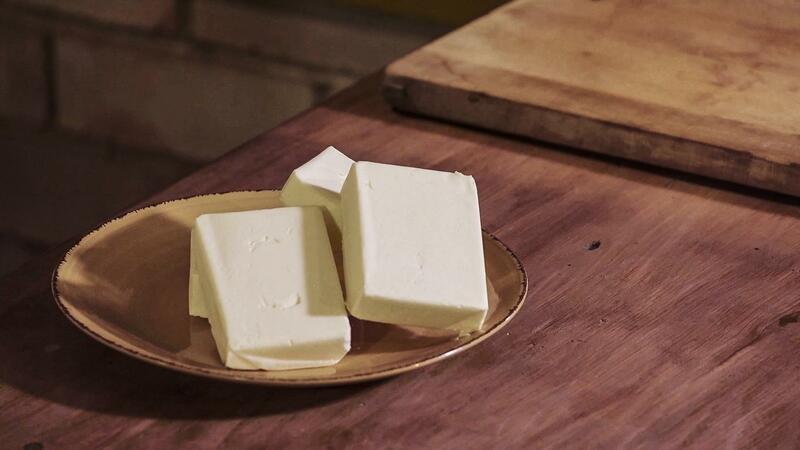 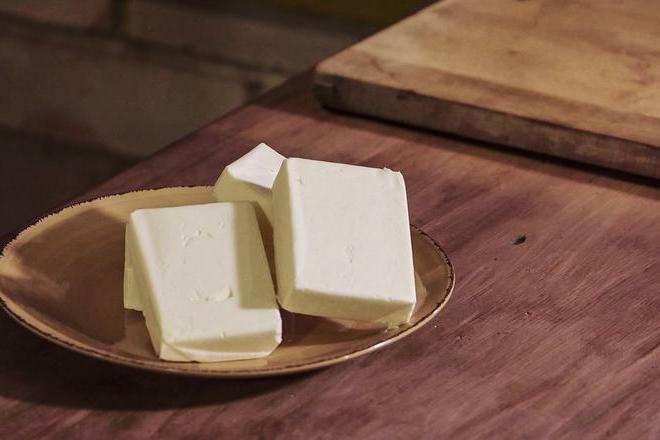 Melt the butter - add 3 spoons to the dough, leave the rest for later. 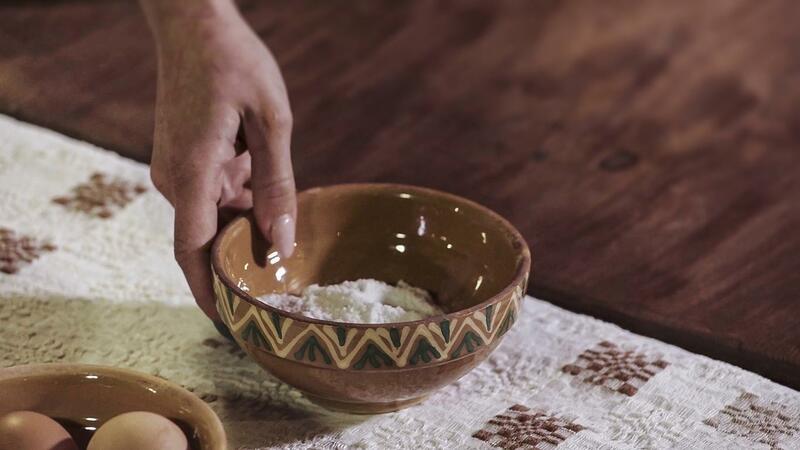 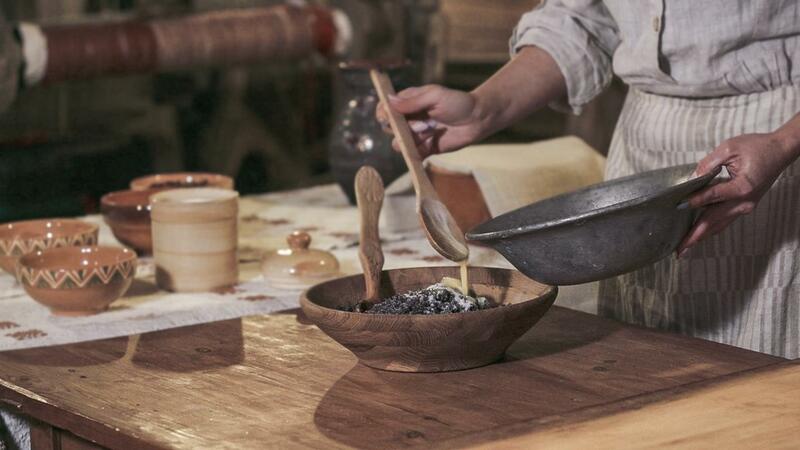 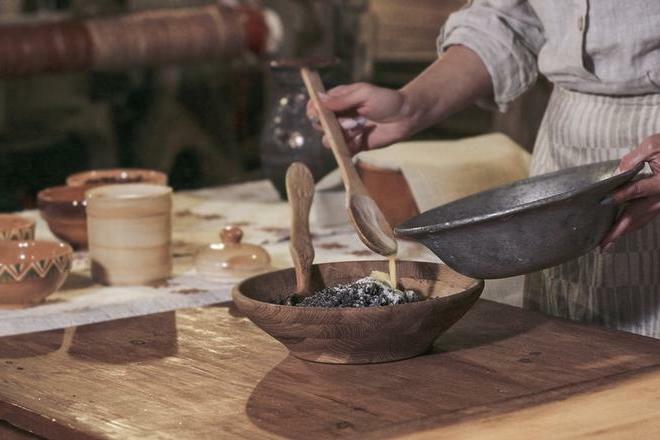 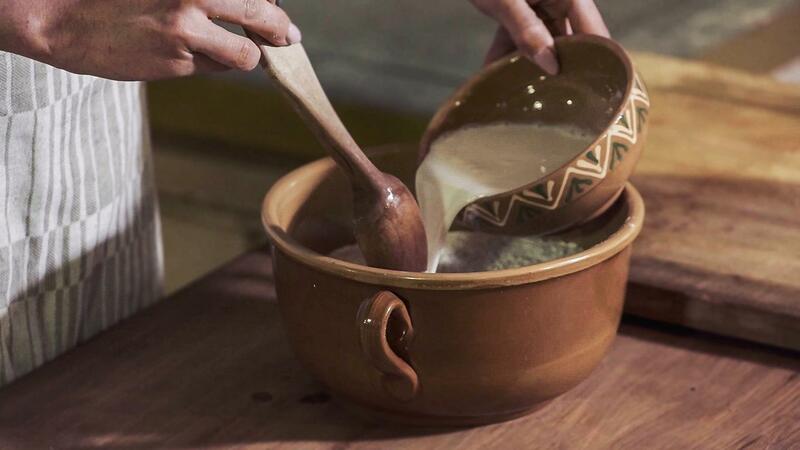 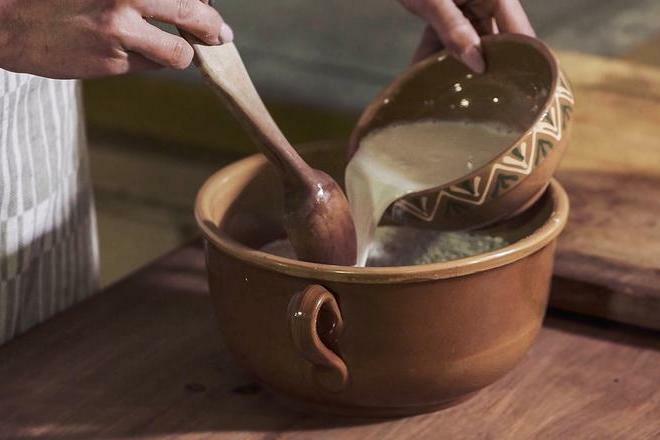 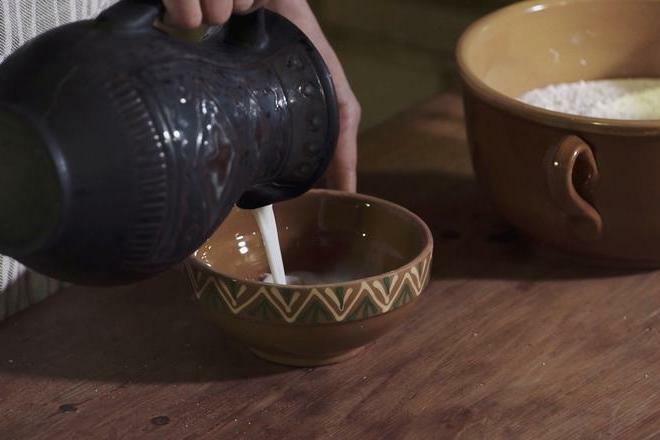 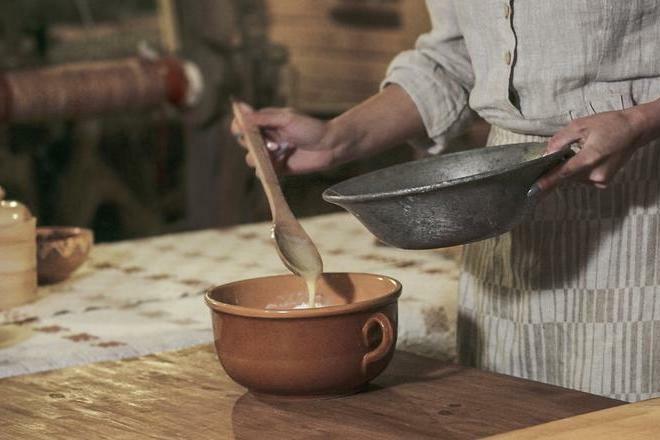 Preparation of dough: Put yeast into a bowl, cover with a pinch of sugar and pour a spoon of lukewarm milk. 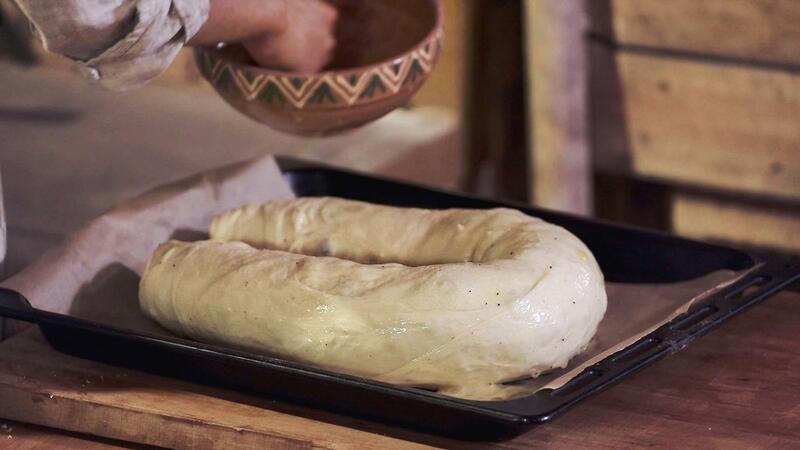 Stir everything and leave for 20-30 minutes in a warm place to rise. 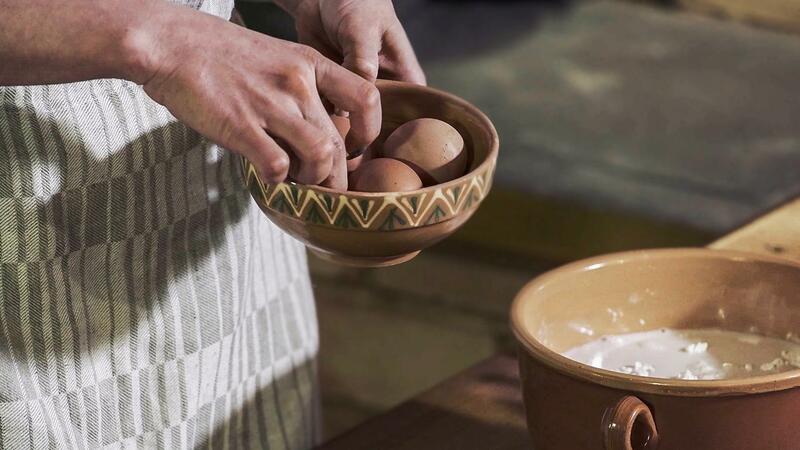 Add eggs into a clay dish, pour the remaining milk and stir everything well. 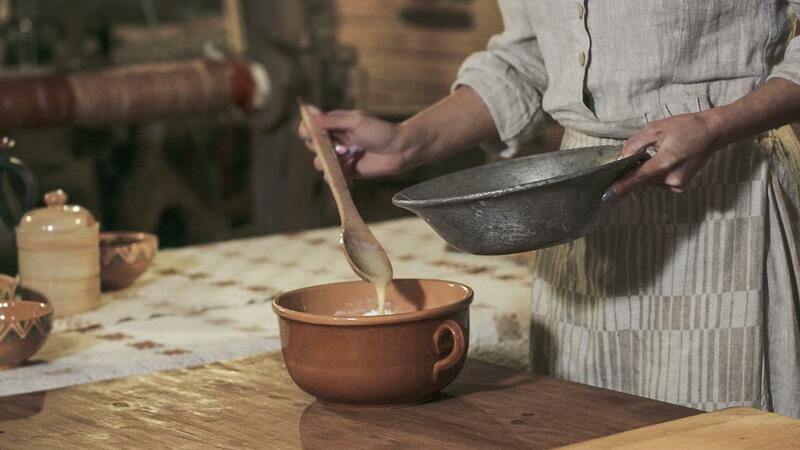 Pour yeast, stirring constantly, pour flour and knead the dough. 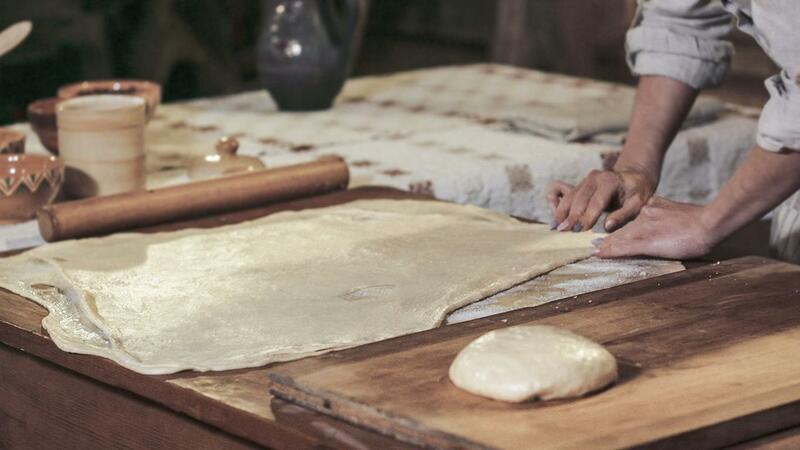 Since the dough is sticky, constantly lubricate hands with grease. 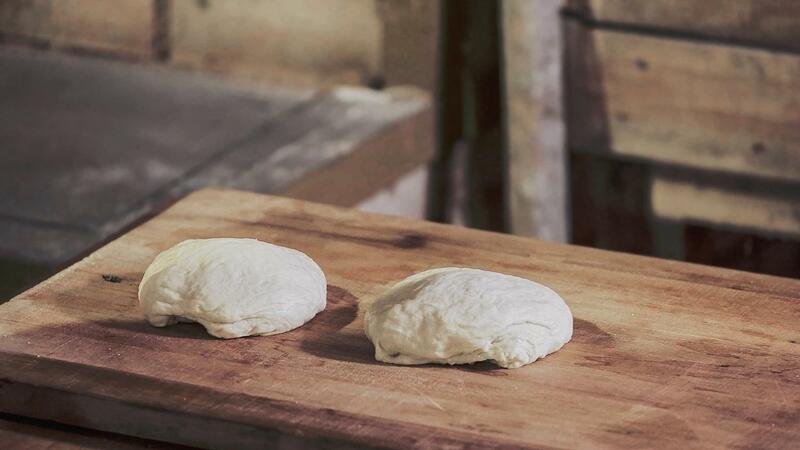 Knead the dough for about 20 minutes until it becomes homogeneous and elastic. 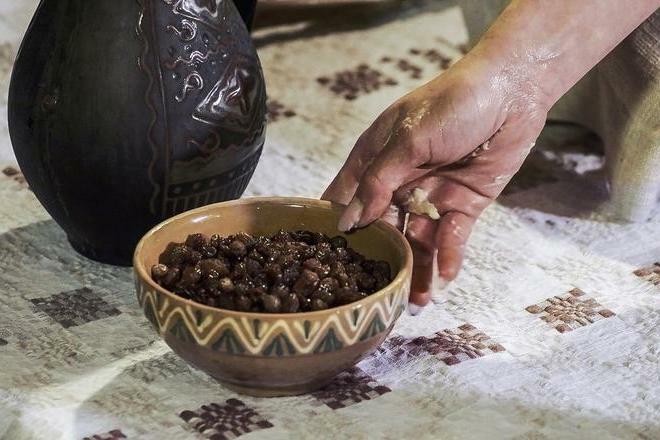 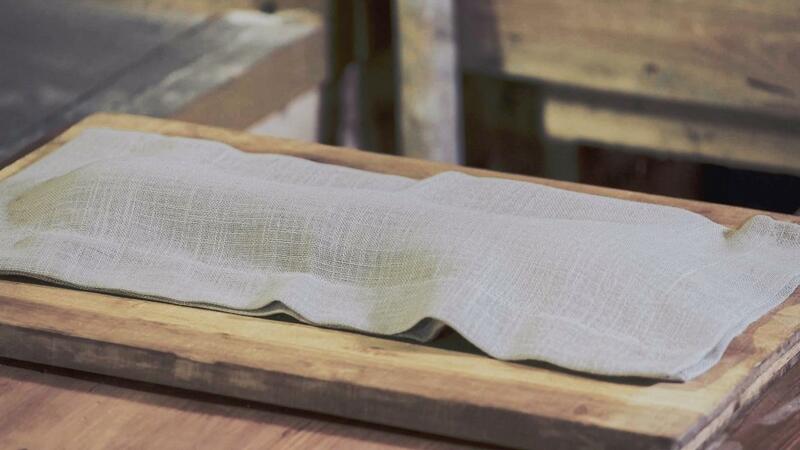 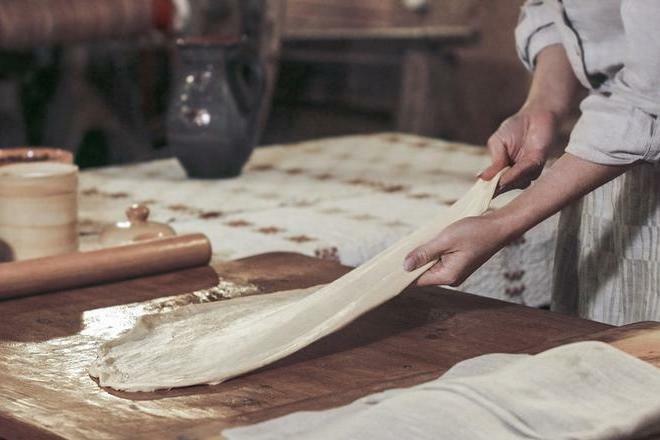 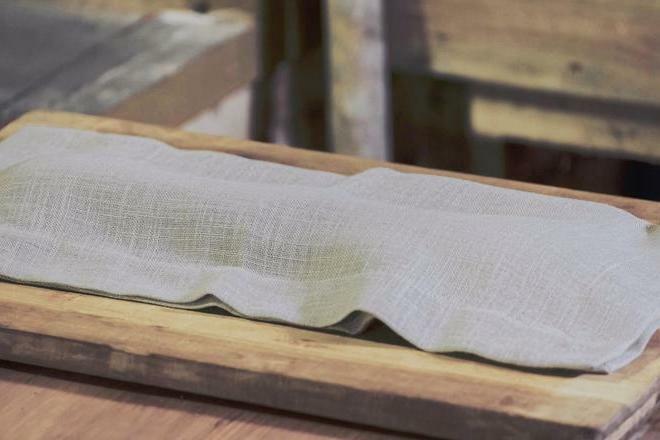 Roll the dough into a bowl, wrap with a cloth or a food film and cover with a warm bowl. 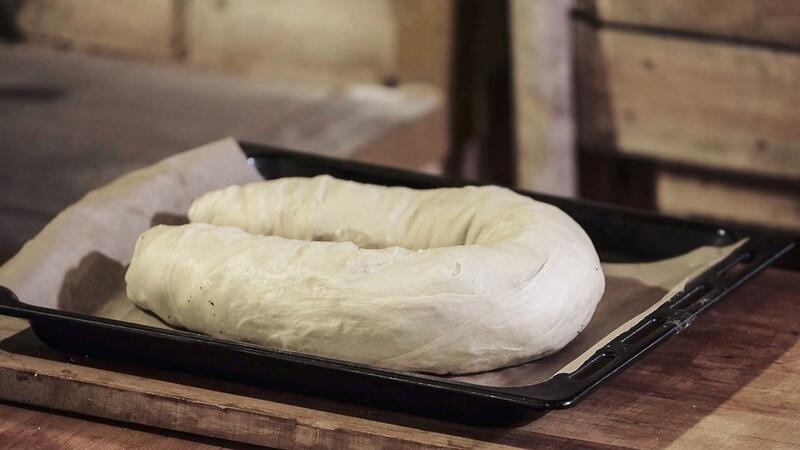 Leave the dough for 1 hour. 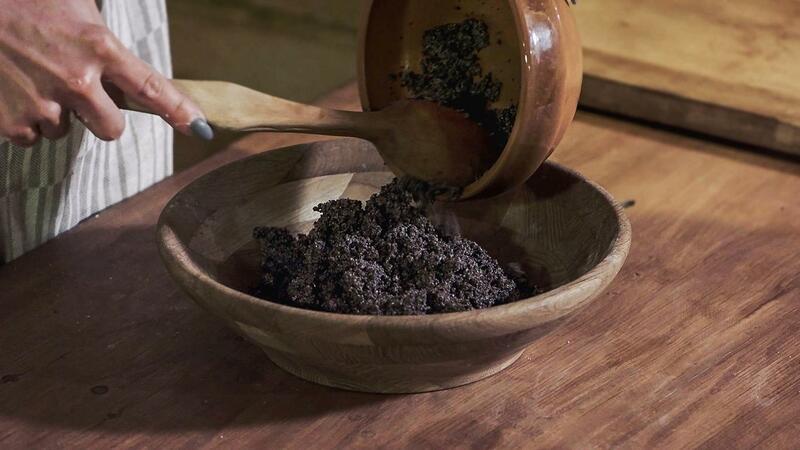 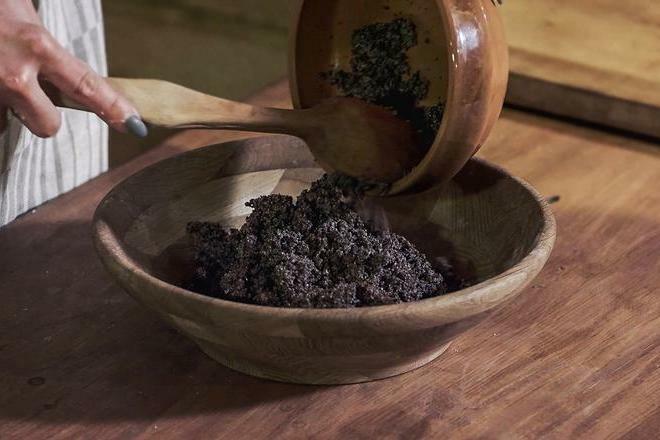 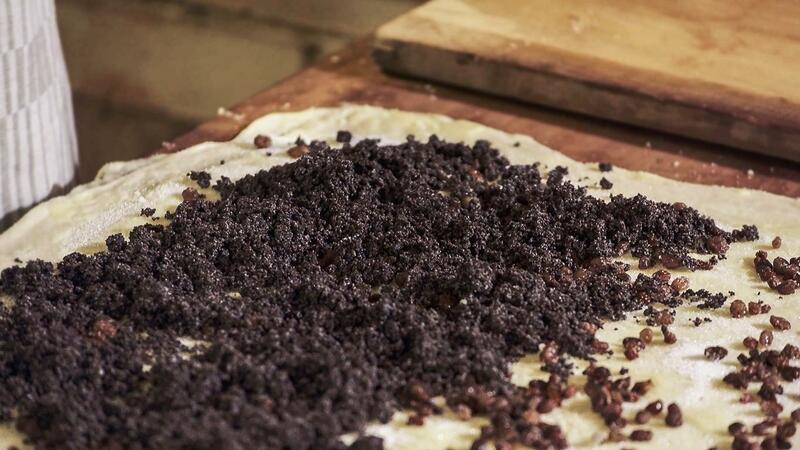 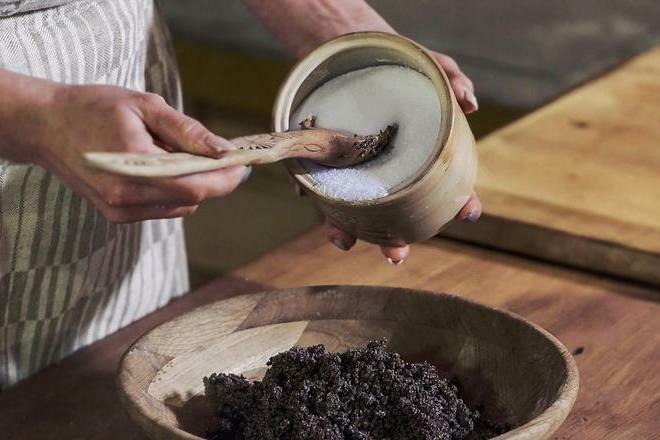 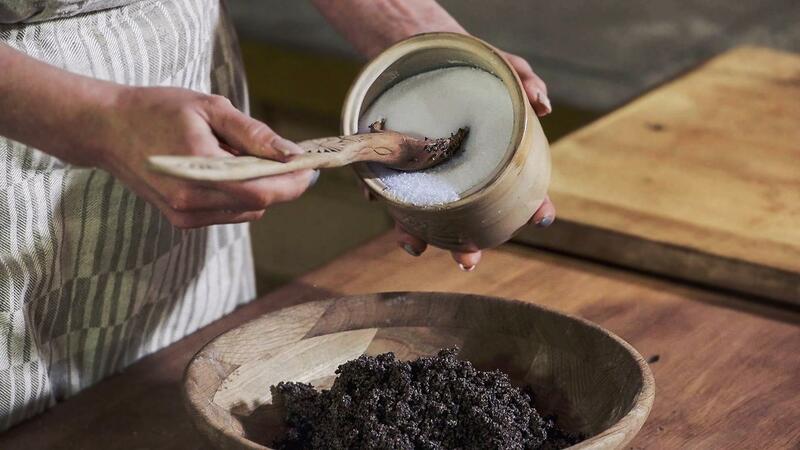 Grind the brewed poppy seeds for the filling, add sugar and washed raisins. 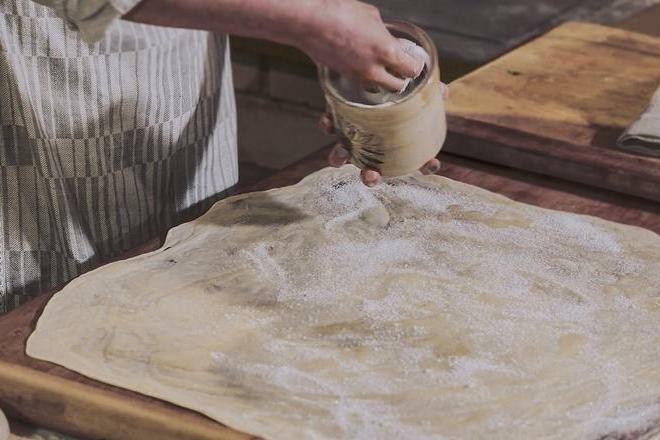 Divide the risen dough into three equal parts, grease with butter, cover with a cloth and leave for 30 minutes. 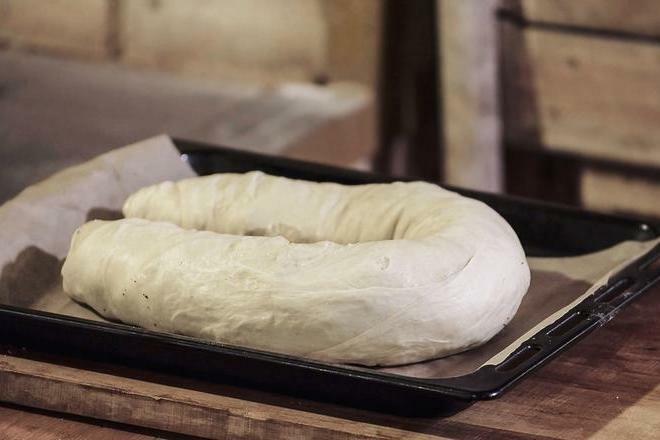 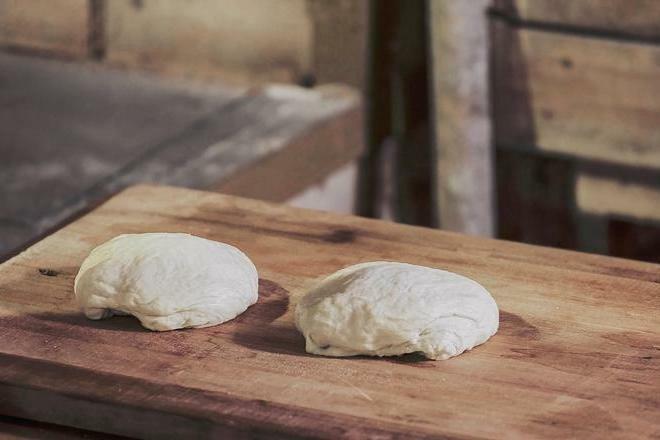 Take one of the risen balls, roll it out and stretch them until the dough is quite thin. 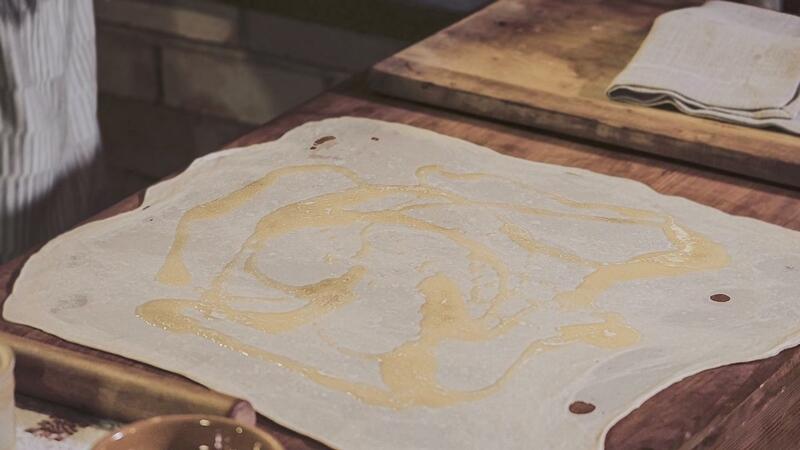 Then, grease with melted butter and sprinkle with sugar. 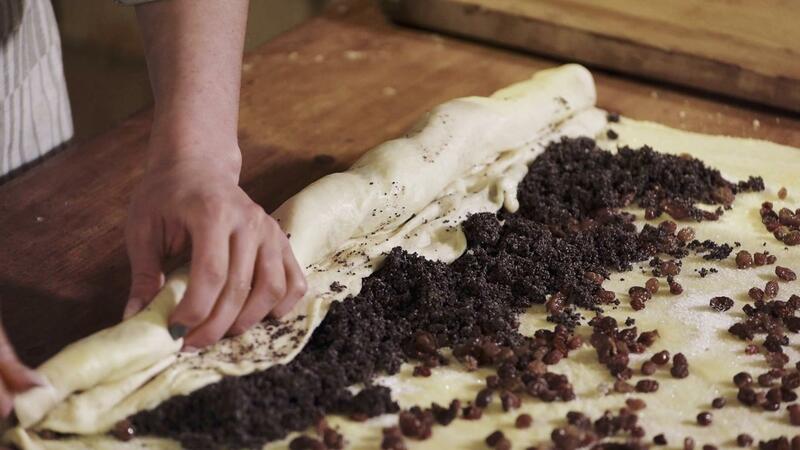 Do the same with the other two balls, just sprinkle the top of the third layer with raisins and poppy seeds. 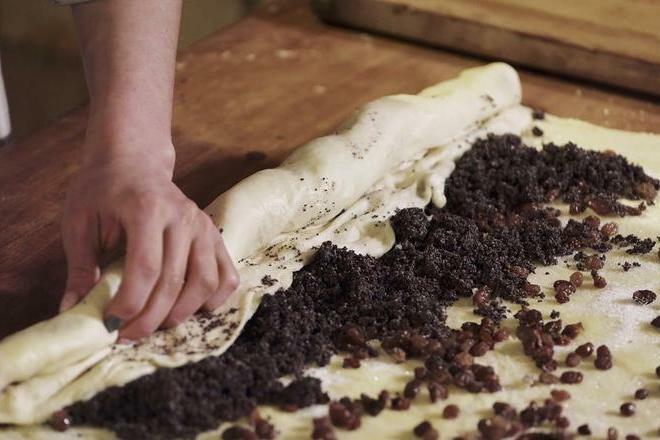 Spread evenly and roll. 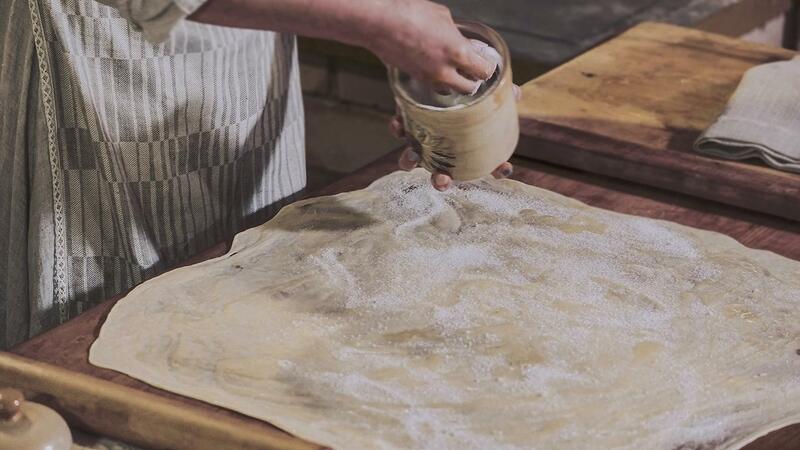 Then form a circle and put on a baking sheet lined with baking paper. 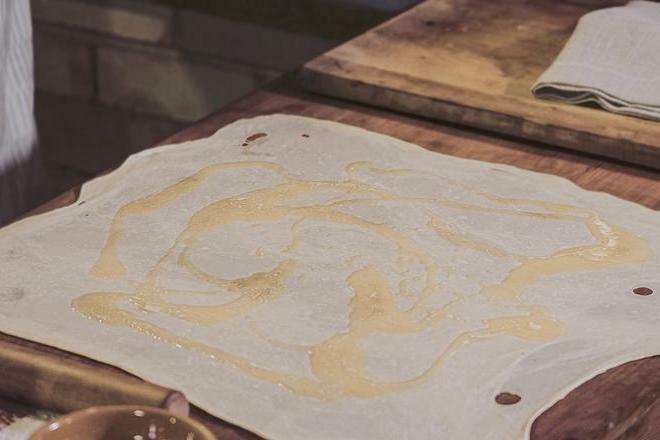 Sprinkle with the whipped egg and bake for 40-50 minutes at a temperature of 200 °C until a golden crust is formed. 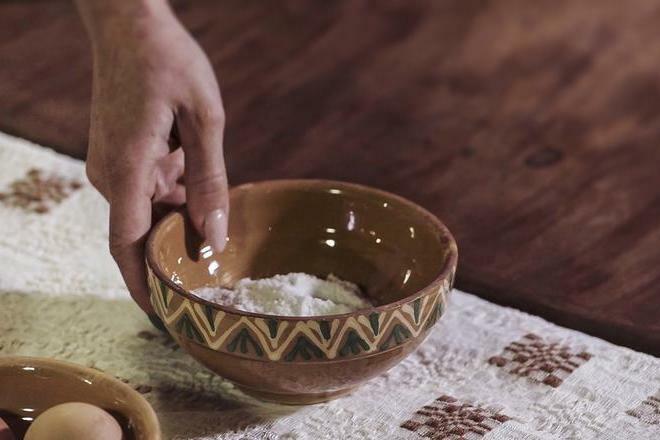 Remove the baking from the stove, sprinkle with powdered sugar.